The Ballard Shelving Unit is perfect for storing and displaying items, whether at home or in the office. Its modern and elegant look complements any space, making your workspace both functional and stylish. In addition to shelving for all of your office supplies, the Ballard Shelving Unit also features a file drawer that offers storage for documents and other items you want to store out of view. It holds both letter and legal sized files. 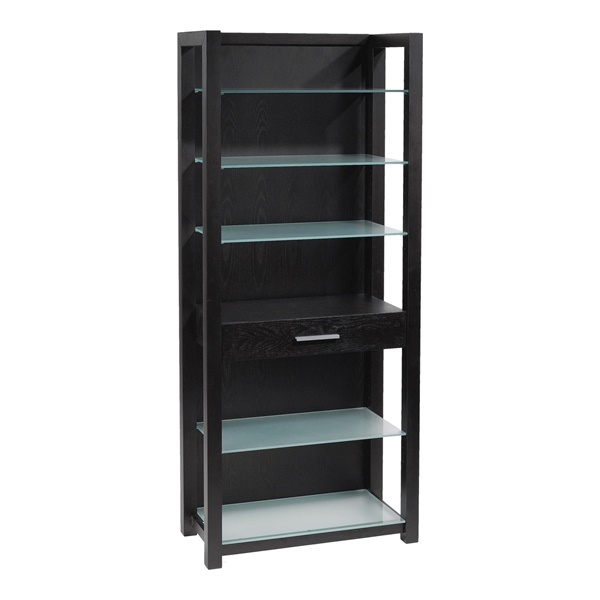 The Ballard Shelving Unit is constructed from wenge-stained wood and features a silver printed tempered glass top. Silver powder-coated drawer pulls complete its look. Locking casters keep the Ballard Shelving Unit in place, while enabling you to easily move it if needed.